Most pieces have been sold or were commissioned projects and so this is a good example of prices. All prices do not include shipping. 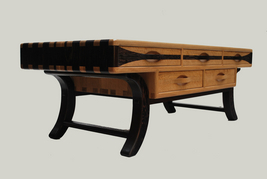 Cherry and Wenge Coffee Table with dovetail joinery and drawers that run completely through table. 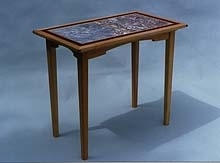 This end table was built with another artist collaboration. 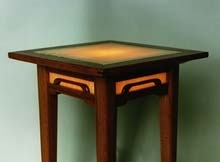 The top is glass with a design melted into it. It also is lighted from within. 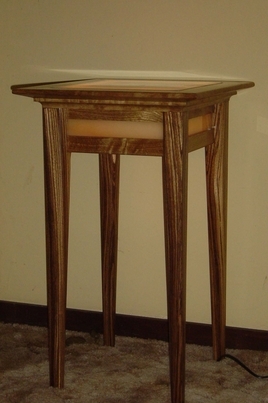 Assorted end tables with curved leg design.